Some pop-up ads are ironic… but ever since Alanis butchered that word… I have no clue anymore if this is irony or not. 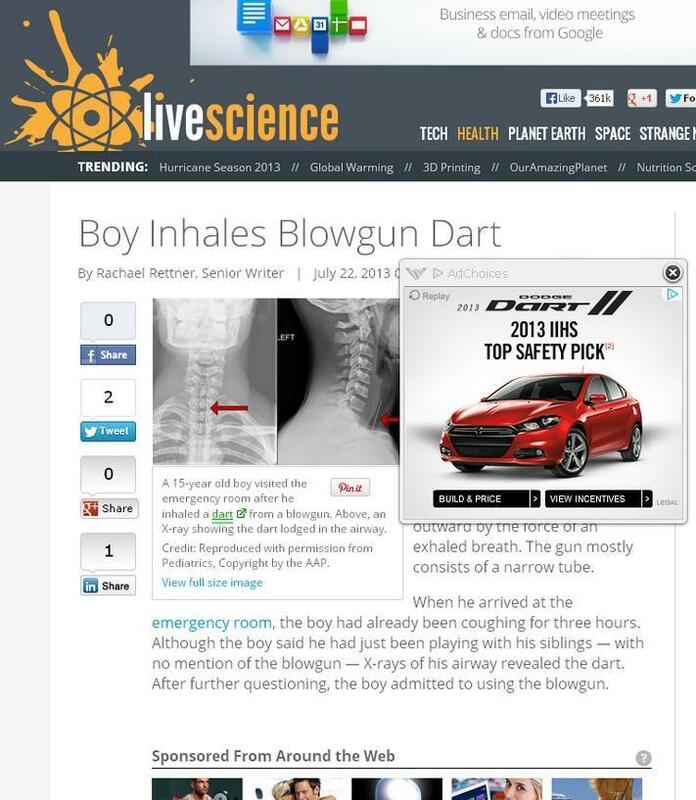 This entry was posted in caption contest and tagged blow dart ad, dart, dart ad, dart inhaled. Bookmark the permalink.